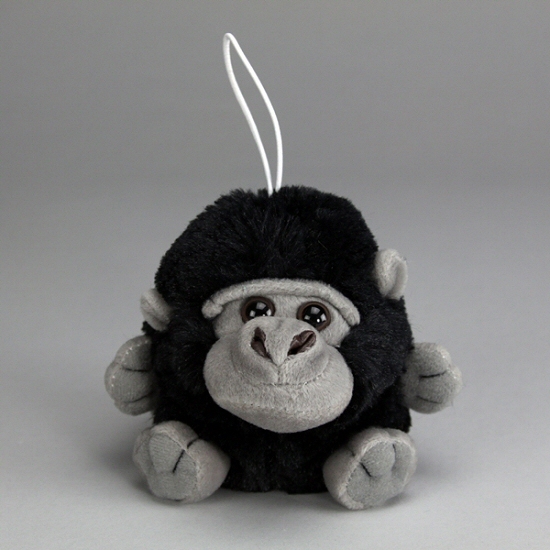 Samson, this adorable little Cushy Critter stuffed gorilla, would swing from the trees to win your heart. With soft black fur, gray accents, and a cute face, sweet Cushy Critters plush gorilla Samson wants to be your next best friend. He even has an elastic loop making him great for taking along on adventures by simply looping it around your finger. Sweet Snuggle-Ups stuffed gorilla Oreo Jr. has soft black fur, gray accents, and an understuffed body for hours of cuddly, floppy fun. Timmy, this adorable little Cushy Critter stuffed tiger, has soft striped fur, white accents, and wild whiskers. This Orangutan Bloco foam building set lets you build and create according to the instructions or your own imagination.